It’s not often that I encounter books or stories that leave me truly frightened—though even reading a review of Sue Klebold’s recently released memoir A Mother’s Reckoning: Living in the Aftermath of Tragedy brought back some pretty intense memories of Dave Cullen’s brilliant Columbine several years ago, a book which left me with fears and anxieties that have proven deep, pervasive, and unshakeable. (And having a son myself now has only intensified some of those emotions.) 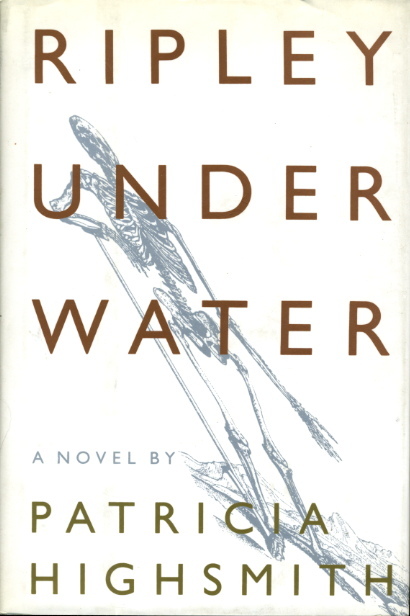 Given that qualification, however, several scenes in a novel I read recently did leave me with a sense of creepiness and unease: Ripley Under Water, the final book in Patricia Highsmith’s five-novel Ripliad (which I finished as part of last year’s New Year’s Resolutions). It wasn’t the violence in that book (or really any of those books) that affected me, though Highsmith’s coldness does work its unsettling charms in such scenes; instead, it was the simple conversations over cocktails between Tom Ripley and his new neighbors, David and Janice Pritchard, that left me edgy and uncomfortable. Those chats always seemed to have some menace coursing beneath them—with sudden, unexpected twists, giddy accusations and defenses, and always, always an escalating politeness that made it all the more unbearable. Do I really need to say it? Highly recommended. Check out the full post here, where I also talk about Arnold Lobel (again! ), Louise Penny, and work by one of my own students!